// Store an instance of the BMP180 sensor. // We are going to use the on board LED for an indicator. // Store the current sea level pressure at your location in Pascals. // We start the serial library to output our messages. 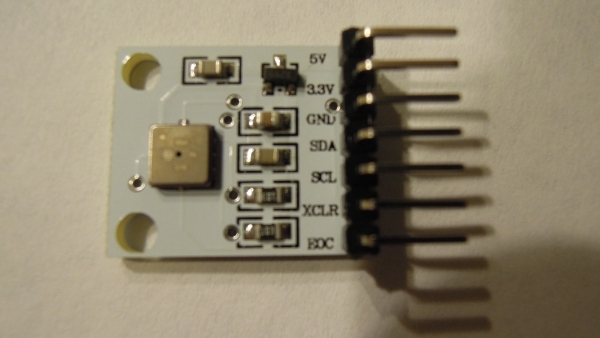 // We start the I2C on the Arduino for communication with the BMP180 sensor. // Set up the Indicator LED. // We create an instance of our BMP180 sensor. // We check to see if we can connect to the sensor. Serial.println("Connected to BMP180. "); // Output we are connected to the computer. digitalWrite(indicatorLed, HIGH); // Set our LED. digitalWrite(indicatorLed, LOW); // Set our LED. // Retrive the current altitude (in meters). Current Sea Level Pressure is required for this. // Print out the Altitude. delay(1000); // Show new results every second. const int chipSelect = 4;  // oder 10? Serial.println("BMP180 gefunden. "); // Output we are connected to the computer.